Here’s the unfortunate truth of our roles as oral surgeons: If everyone had it their way, our jobs wouldn’t exist. In a perfect world, no one would need urgent surgery. Our bodies would be completely self-sufficient, capable of healing any ailment the world tosses at us. There would be no accidents, no diagnoses, no need for medical procedures whatsoever. As we’ve learned, though, accidents, do happen. We drive on icy roads, we collide in soccer games. Unfortunate circumstances out of our control occur every day. When they do, you should be confident that you have the absolute best tools and services at your disposal. Facial trauma is a unique area of concern to most patients. Understandably so considering facial function and aesthetic are an integral part of a person’s physical and emotional wellbeing. In the realm of facial trauma, the most common among craniofacial injuries is soft tissue facial trauma. This involves injuries of the skin and gums including lacerations and contusions. 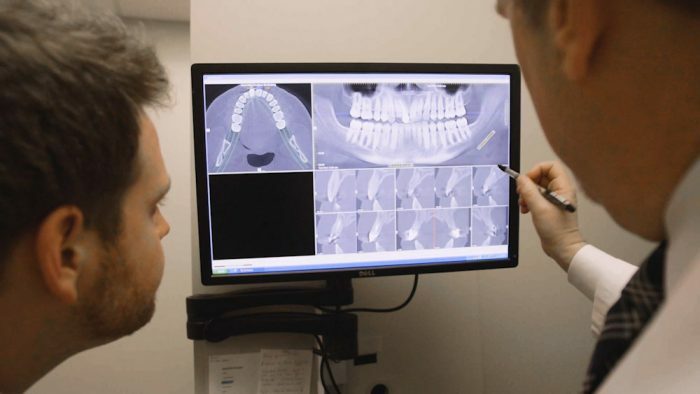 We hope you never have to come into Beaverton Oral Surgeons in need of an emergency procedure for soft tissue repair. If you do, here’s what you need to know about what comes next. Soft tissue facial trauma is rarely life-threatening. The most common causes of such injuries are motor vehicle accidents or sport-related accidents. Soft tissue facial trauma accounts for nearly 10 percent of emergency department visits. This means the experts are fully prepped on the next step. You’re in good hands. Slips, trips, and falls causing lacerations or contusions are the most common causes of soft tissue facial trauma in children and the elderly. Particularly over the summer, as kids are enjoying loads of outdoor play, the risk of injury increases. That’s not to say you should lock your kids inside. Just make sure you’re taking the necessary precautions (helmets, when necessary) to ensure your child is playing hard, but playing safely. In the case of soft tissue facial trauma, the key to a quick recovery is to get the wound treated quickly. In most cases, you should have a professional treat the injury in at least the first 8 hours after the accident. This reduces the likelihood of infection which creates greater problems later on. Immediately after the injury, don’t attempt to thoroughly clean the wound yourself. You may unintentionally cause more damage or disturb an exposed nerve. According to our own Dr. Kooning, following the accident, you should pack the wound with moist gauze and get to a doctor as quickly as possible. It’s not uncommon for swelling to occur in those first few hours after an injury. Swelling at the site makes the boundaries of the injury difficult to identify. Doctors may have difficulty treating an injury with undefinable borders, so it’s up to you to describe what happened and where you feel the most acute discomfort. It’s also crucial to identify the mechanism of the injury. The circumstances or objects involved in your injury may influence how the wound is treated with antibiotics. Photographs always help, especially if swelling has significantly altered the appearance or severity of the afflicted area. Despite the commonality of the injury, few studies have been conducted to investigate the management of soft tissue facial wounds. Thus, treatment of such injuries is largely up to the surgeon’s personal experience and his or her own wisdom. With that in mind, you should be completely confident in the abilities and expertise of your oral surgeon. 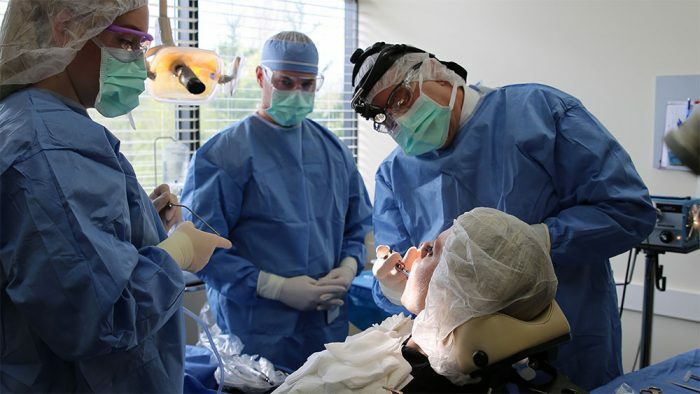 At Beaverton Oral Surgeons, we proudly practice with over 25 years of experience. Our doctors are fully trained in plastic closure and facial anatomy. We’re confident that we are fully equipped with the experience to create a patient plan curated to your needs and concerns.